From there, you can use the search tool to research the colleges where you may be interested in applying. This will give you a general idea of the test scores you should target. 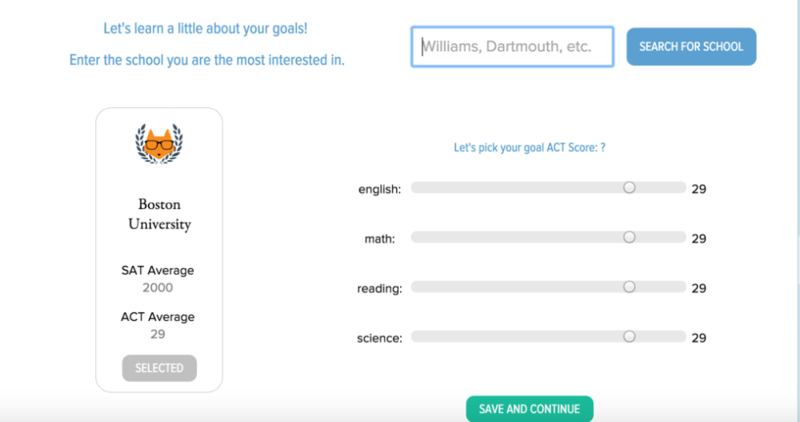 If you prefer to set a goal independent of college data, however, you can use the sliders below the school search button to select appropriate.